Cinco de Mayo is the biggest day for Mexican beers in the United States. Sales of Dos Equis had been in decline. It needed attention. For the holiday, its new campaign, “Keep It Interesanté,” was based on the insight: It’s better to be dead than dull. When guys share stories, they embellish, trying to top each other. This was brought together with the shared knowledge that they're all telling it a little bit better than it actually was. As the only beer that could embellish as much as Cinco is an embellished holiday in America, the brand introduced its new beer: Cinco Equis! Just like Dos Equis, but with more equis! 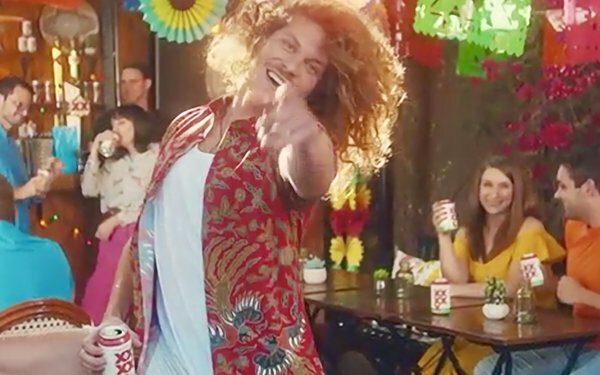 It collaborated with a comedy site loved by Millennial males, “Funny or Die,” to produce four hero videos, featuring Blake Anderson, above, from “Workaholics,” who had the perfect tone of voice for a beer drinking holiday. He extolled the virtues of more equis, going from Cinco Equis to Ocho Equis and, finally, Noventa y Cuatro Equis. The releases ramped up ahead of the holiday, supported by both “Funny or Die”'s digital and social footprint and the brand’s own. It released real Cinco Equis cans at locations in New York City and Texas, supported by geo-targeted Snap filters. Those Snap filters got 245,000 uses in just four days. Dos Equis was the #1 mentioned beer on Cinco De Mayo on Facebook. Sales for May rose 3.6% versus year ago. To get the attention of male Millennials, do as they do and embellish your story. Tie your product to a related holiday and promote the heck out of it in the days before. Harness the energy of your target audience. This was a finalist in the Branded Entertainment: Original/Video category in MediaPost’s 2018 Creative Media Awards.